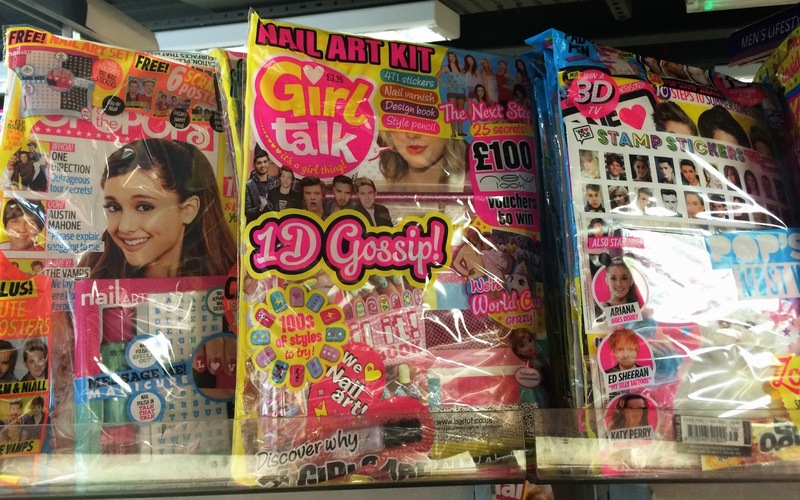 Fundamentally Flawless: Published for the First Time: Girl Talk Magazine! 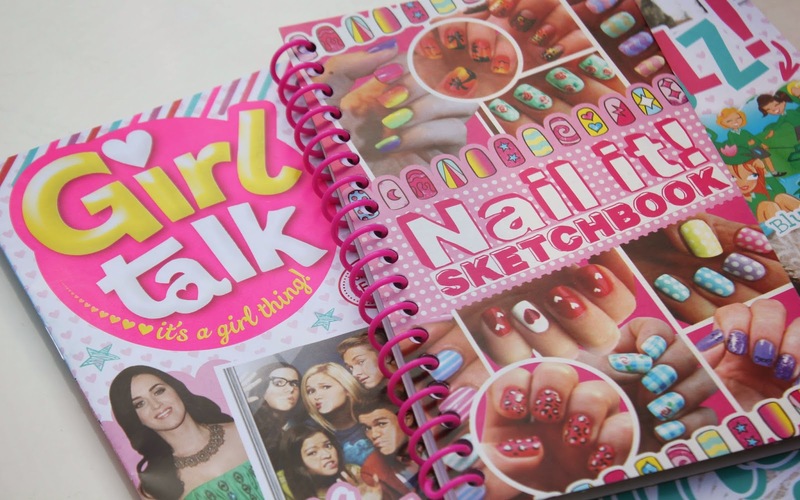 It was months ago now that I was contacted to ask if I would like to be involved in a nail art issue of the girls' magazine Girl Talk, which is a mag I read when I was a little girl (it's aimed at 7-12 year olds)! It's pretty exciting to be asked to be involved in something like this - as when I started blogging in January 2013 I literally had no idea at all that something like this might happen. 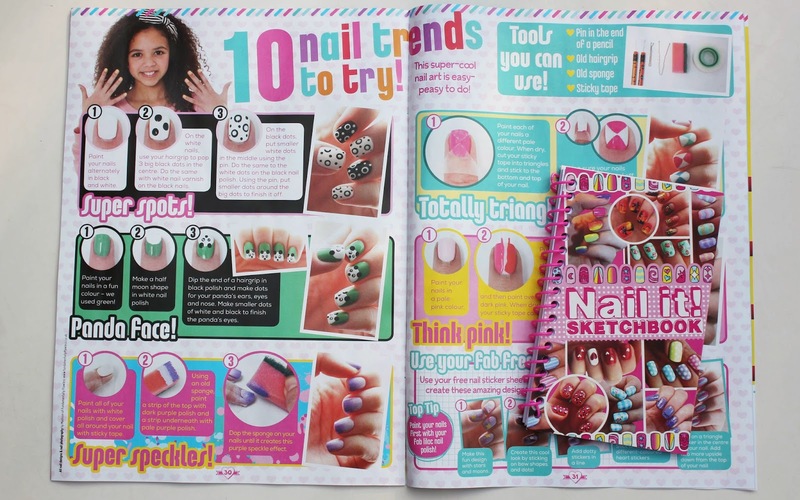 This issue comes with a free Nail Art Sketchbook, which is covered in photos of my nail art (if you've been a reader for a while you may recognise some of them from last year) - and inside the magazine there's a double page spread of tutorials and more photos I did. So I wanted to do a quick blog post today to say that it's available now in newsagents - I found my copy in WH Smith (as did my mother, who of course ran straight out to buy herself a copy!) so look out for it if you find yourself somewhere surrounded by magazines! There it is on the shelf in WH Smith! This is so awesome - I want to go and buy it!